CMS Says: Believe it or not, there is no size restriction on the employer. You could be a small business with less than 25 employees, or a mega-employer with hundreds of thousands of workers. 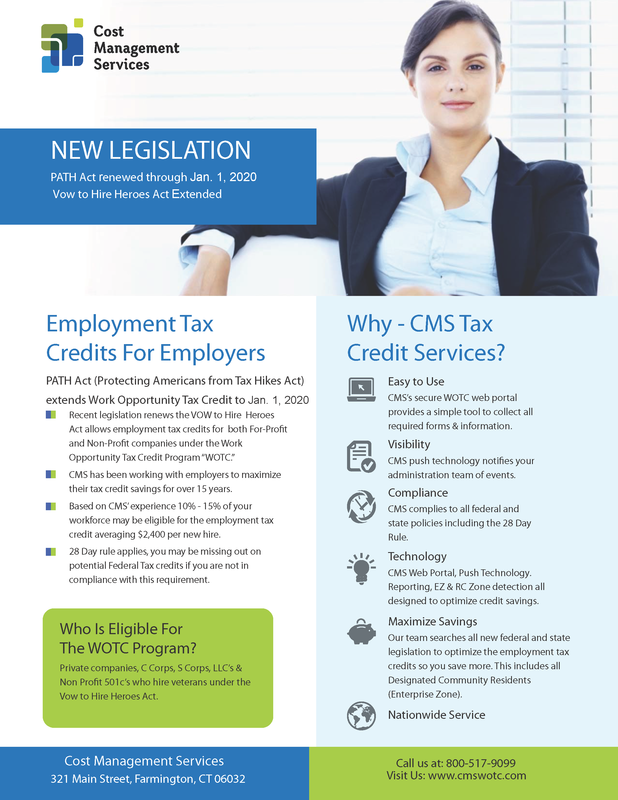 You just need to be a taxable employer, hiring employees who qualify under one of the WOTC target groups which include individuals on SNAP Benefits, Veterans, and more. This entry was posted in WOTC News, WOTC Questions and tagged small business, Work Opportunity Tax Credits, wotc employer size, WOTC FAQ, wotc questions, WOTC Screening Service. Bookmark the permalink.